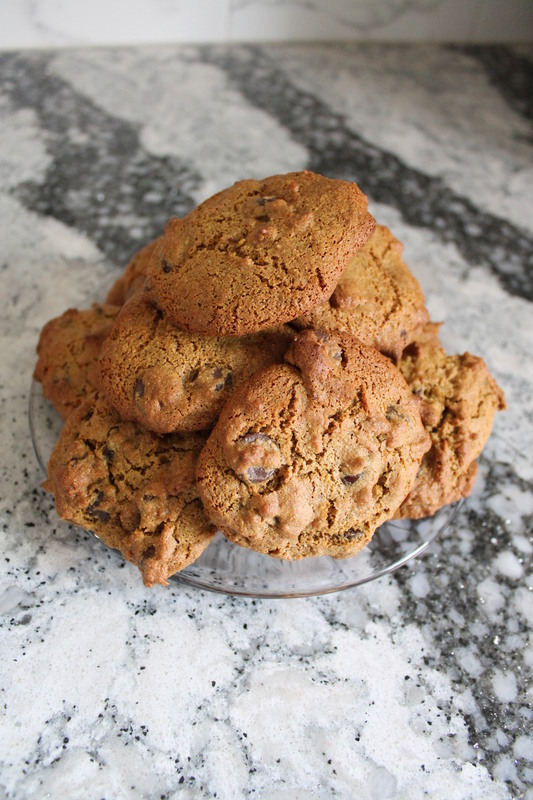 My family and I love Chocolate Chip Cookies. It is one of our favorite desserts to make and eat. 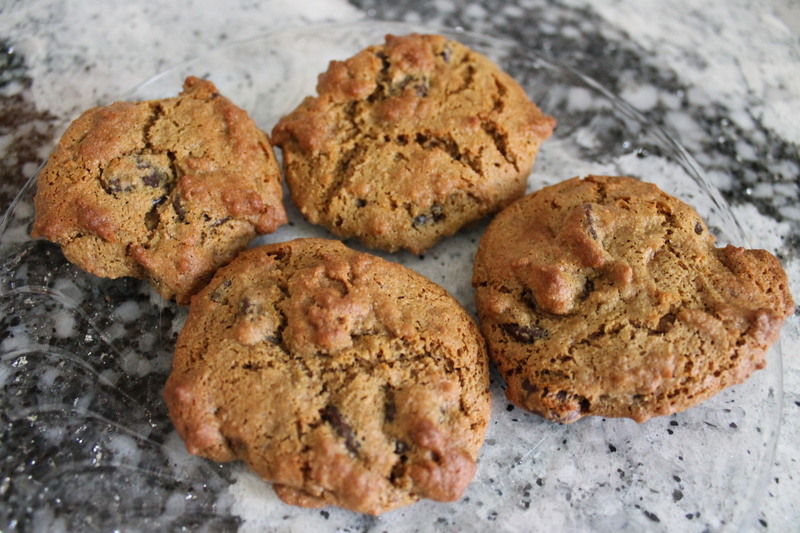 These cookies have some great alternative ingredients to what you would normally use in your recipe. 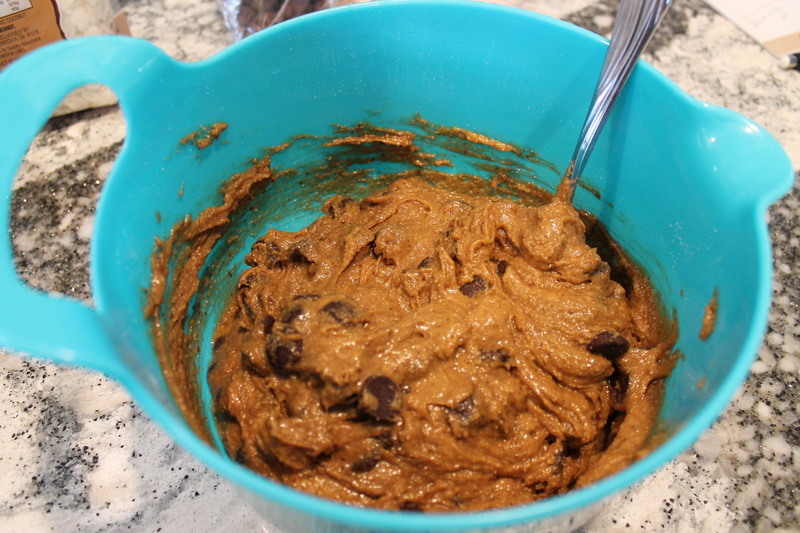 For instance, instead of peanut butter I used sunflower butter and instead of white sugar I used coconut and brown sugar. 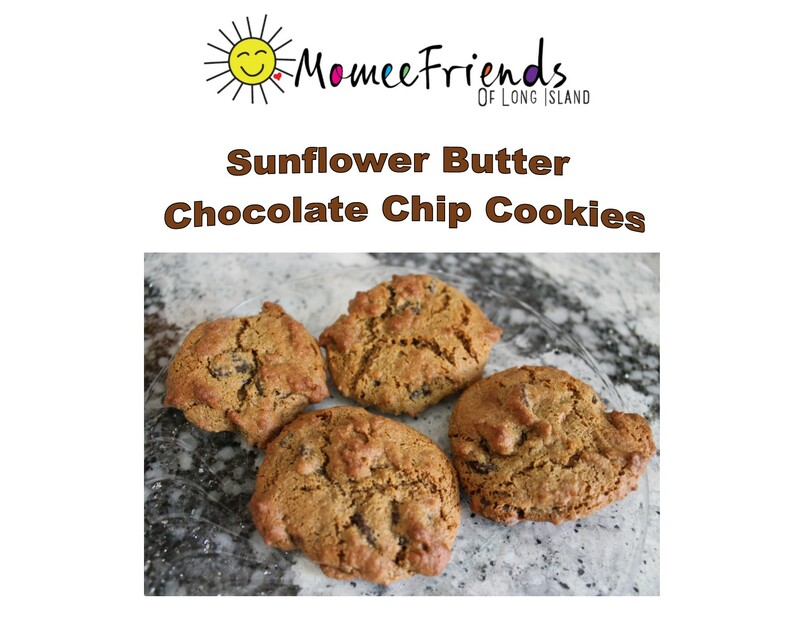 Let’s face it a cookie is a cookie and should be eaten in moderation but, I feel better using these ingredients instead of some of the ones I used to use. Have you tried coconut sugar? I like it so much better than white sugar. 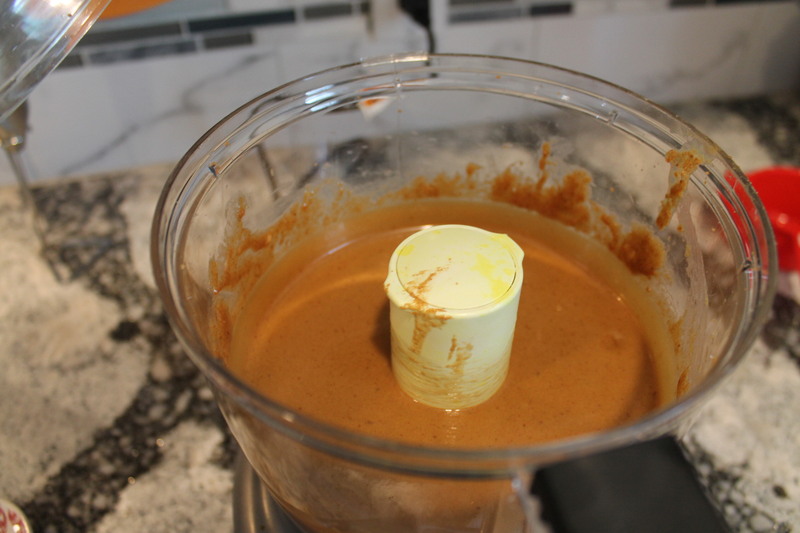 In a food processor mix your sunflower butter, coconut sugar and brown sugar. Then, mix in your bananas and vanilla. 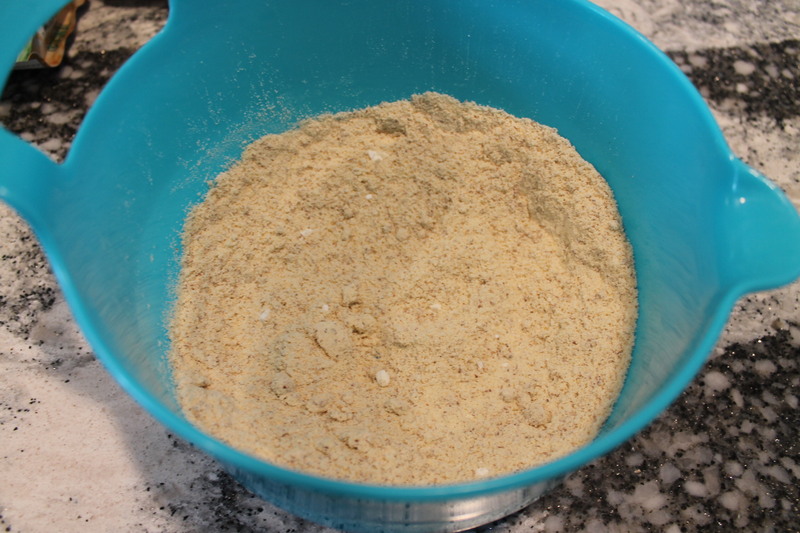 In a separate large bowl mix together flour, baking sodas, baking powder, and salt. Add your wet ingredients from the food processor to the large dry ingredient mixing bowl. Stir until completely combined. Fold in your dark chocolate chips. 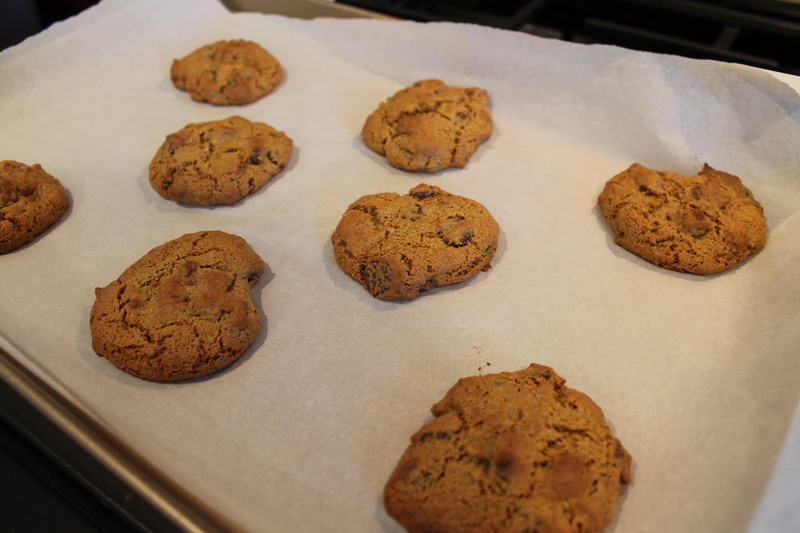 Place a spoonful of the cookie mixture on your sprayed baking sheet. 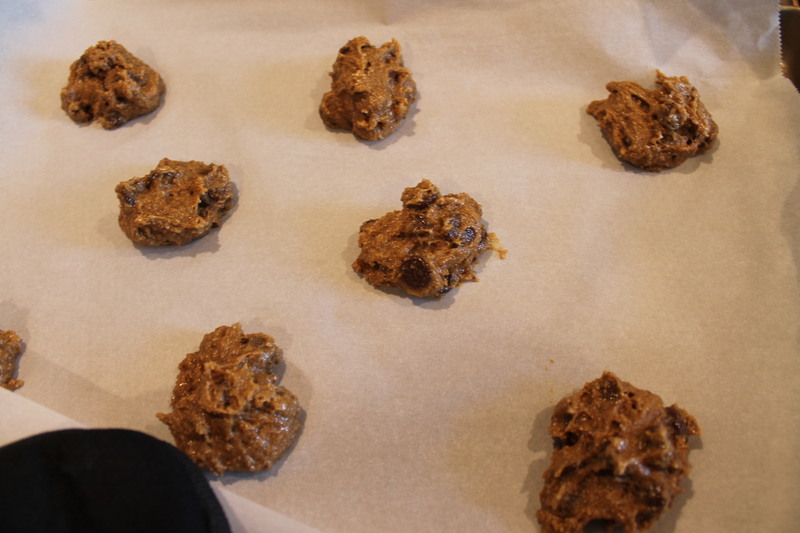 (I use coconut oil spray) Continue to add your spoonfuls of cookie mix on the baking sheet until your sheet is full. 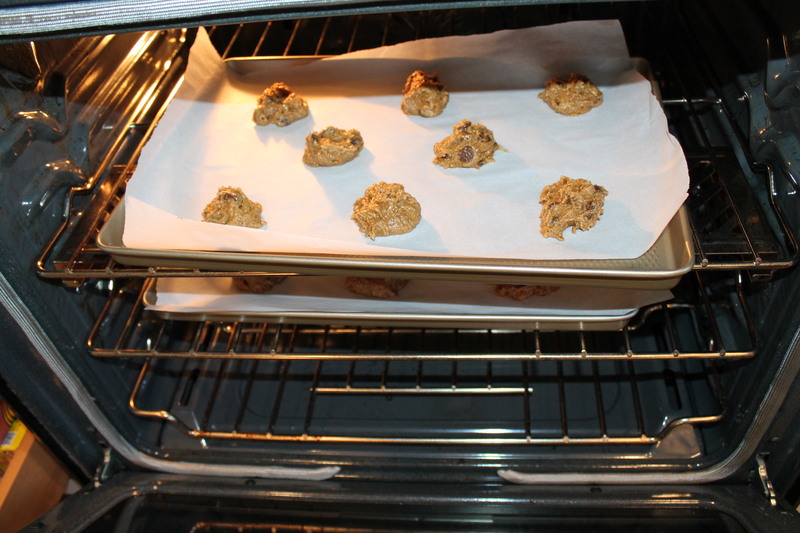 Then bake in your pre-heated oven at 375 degrees F for 10 to 12 minutes (or until golden brown).